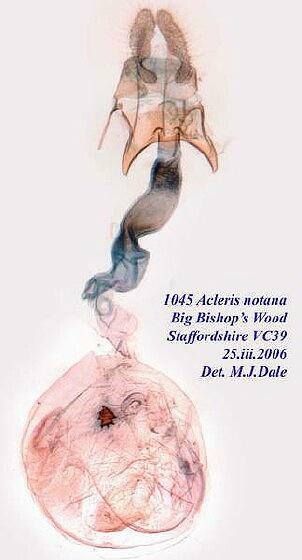 Acleris notana (Donovan, ) replaces Acleris tripunctana (Hübner, ), World Catalogue of Insects. Vol. 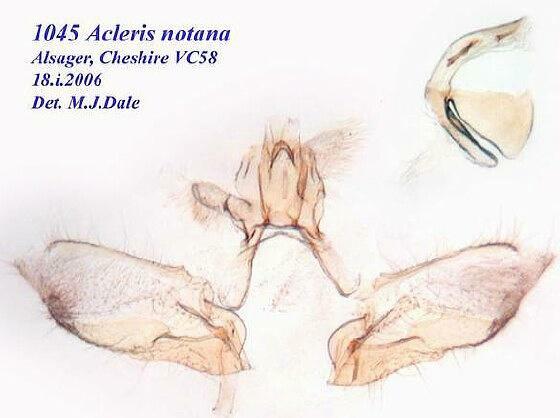 5: 1-741, and includes as a synonym 3521.2 Acleris ferrugana of authors (not [Denis & Schiffermüller], 1775) in the 1983 Hodges Checkist. Brown, J.W., 2005. Tortricidae (Lepidoptera). World Catalogue of Insects, Vol. 5: 1-741.